Developer, National Community Renaissance, proposes constructing a residential mixed use development in Downtown Santa Ana adjacent to a future streetcar stop. 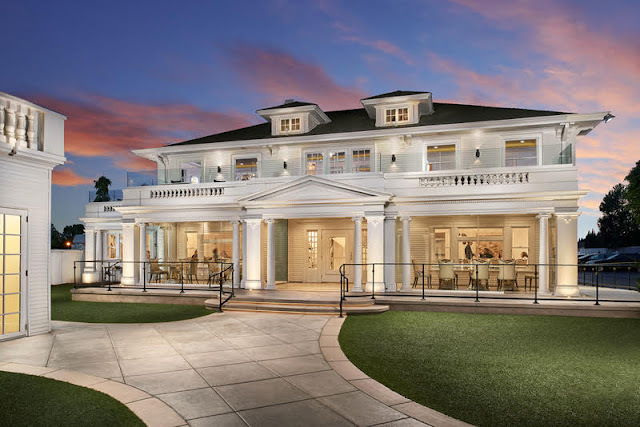 IRVINE, Calif. - International award-winning firm KTGY Architecture + Planning announced today that Anaheim White House Restaurant, owned by world-renowned chef, restaurateur, author and humanitarian, Sir Bruno Serato, has risen from the ashes after a devastating fire on February 4, 2017, which ravaged nearly the entire restaurant housed in a historic 1909 Colonial-style mansion in Orange County, California. The landmark building located at 887 South Anaheim Boulevard in Anaheim, not only housed Serato’s celebrated Italian steak and seafood restaurant, but it was also the place where Serato prepared more than 3,500 free dinners daily to feed hungry children around Orange County for his nonprofit organization, Caterina’s Club. Applicant, Avi Marciano, proposes constructing a new mixed use building in Downtown Garden Grove's Main Street consisting of ground floor commercial and residential units above. Moda Hotels, LLC proposes to build a hotel in south-eastern Santa Ana with 142 hotel rooms and will be a Tapestry Hotel from Hilton.